Whereas Olympic venues are invaded by tourists, in the rest of the city life goes on as usual. 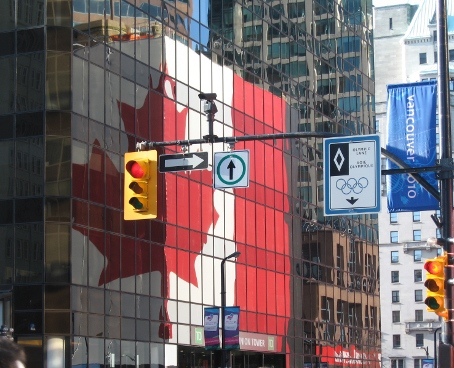 The only sign of the Olympics’ presence is a sudden proliferation of Canadian flags. 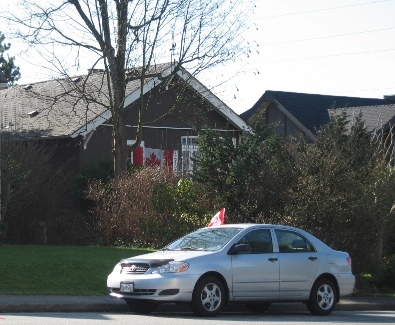 Canada’s colors are proudly displayed on houses and cars. 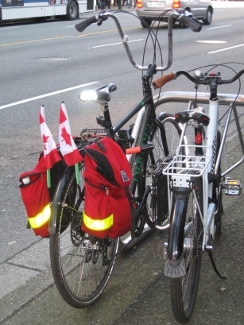 Flags are displayed on houses, cars and even bikes! 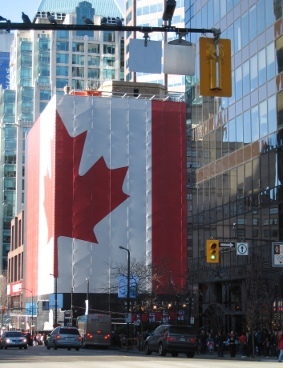 The biggest flag is 32 metres high and wraps the hotel Georgia in Downtown Vancouver. The smallest flags are on label pins, which seem to be fashionable again during the Olympic Games. In the middle of this very consensual display, others try to make themselves heard. 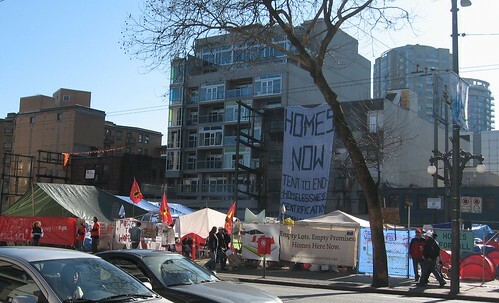 On East Hastings Street, a village of tents has been set up to draw attention to homelessness and housing problems in Vancouver. 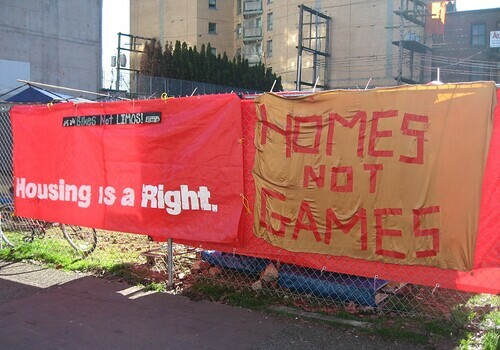 Recently, the prospect of the Olympic Games has accelerated the gentrification of Downtown Eastside, Vancouver’s poorest neighbourhood. Shabby buildings are demolished and replaced by new condos whose rents are too expensive for the residents. 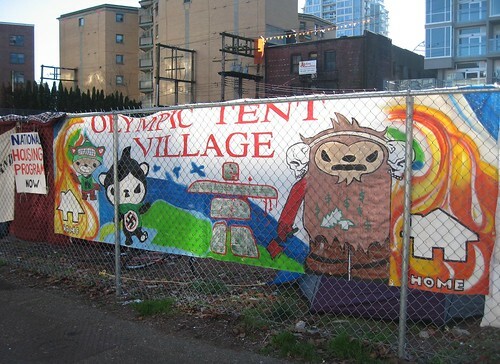 Around the Olympic Tent Village, banners demand housing for the forgotten of the Olympic Games. This entry was posted in Canada by ApollineR. Bookmark the permalink.